Today we have real snow for the first time in around 5 years and it is certainly making me feel festive and ready for Christmas! Last weekend I took the kids over to Resorts World in Birmingham to visit the Elves in their festive workshop. 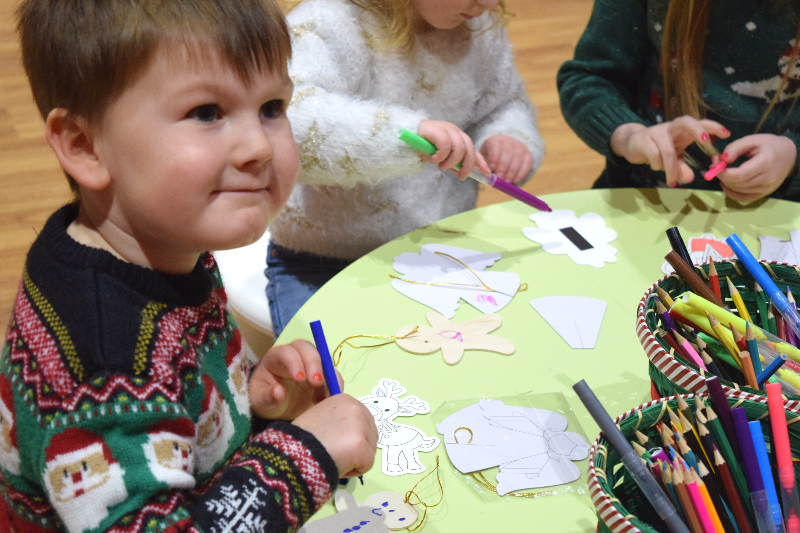 Throughout December Santa's Elves will be running weekly workshops in the outlet mall. So if you head out for a spot of shopping, make sure you pop in to enjoy all the free activities on Saturdays and Sundays between 10am-6pm. Gracie, Zach and Elsie loved the experience. They decorated lots of little paper and wooden decorations for us to hang on the tree. 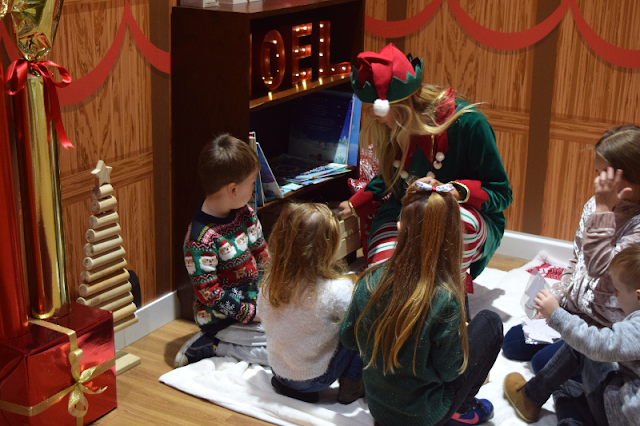 Me and Elsie read some nice Christmas stories in the book corner, there were lots of lovely toys around for them to enjoy and the Elves were ever so friendly. The kids really enjoyed talking to the Elves and finding out all about the North Pole. If you are looking for a fun day out for the family it would be really nice to visit the Elves workshop, browse the outlet stores for some bargain Christmas presents, have a nice meal in one of the many restaurants, watch a movie in the cinema or if you are into gaming and arcades there are two entertainment centres. Pixel is full of digital games for younger children or Vortex is for older children with VR games and cinema. There is so much to do to suit people of all ages and tastes. We spent a little time in both Vortex and Pixel while we were there but it was definitely hard work with one adult to three children who all wanted to do something different but didn't quite know what they were doing, it would have been really nice though if I had had another adult with me to help with them! *We were invited along to Resorts World and given access to Pixel and Vortex for the purpose of this post but all opinions and views are my own.